Effective Leadership Academy (ELA) offers Camp LEAD: The Amazing Chase, a fun and dynamic summer experience focused on innovative youth leadership. This intensive, one-week summer day camp engages fifth through eighth grade boys and girls at a pivotal point in their development. Camp LEAD: The Amazing Chase will utilize games and outdoor team activities to encourage healthy competition and collaboration. 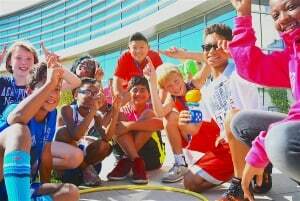 This day camp encourages campers to focus on cooperation, teamwork, effective communication strategies, time management and the art of personal leadership. Just like in the hit television series The Amazing Race, campers will be given daily team challenges that will help them learn to negotiate for success and gain valuable team points. Previous article Do you have a Big Enough ‘Why?’ to Get in Shape?